Everyone understands that we must drink water in order to survive, but very few people understand how important it is. There is no stronger craving in this world than the feeling of thirst. Staying hydrated is one of the most important things you can do for your health and failure to do so can lead to some pretty nasty consequences that may surprise you. Thankfully its actually pretty easy to stay hydrated. Today, we are going to discuss how staying hydrated can improve your life. 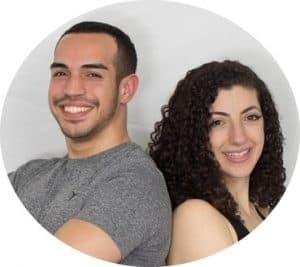 We will also go over the best hydrating foods and the best hydrating drinks so that you can spend more time on your busy endeavors, and less time worrying about your health. Approximately 60% of your body is composed of water. It is necessary to keep your cells functioning, to transport oxygen and nutrients to your major organs, to facilitate muscular suppleness, and to break down the food we eat into essential components. Wherever we find water, there is a good chance of finding life. When astronomers are looking for signs of life in our galaxy, they are looking for “Earth-like” planets; ones that have some form of water present. They aren’t looking for planets that have Dr Pepper or Coke Zero on their surface. Without water, there is no life as far as we know it. There are several amazing benefits of staying hydrated. Some of these include weight loss, improvement in energy levels, a decrease in blood pressure and improvement in constipation. This is because your body uses water to produce and transport all of the necessary hormones to keep your internal system properly regulated. When you are adequately hydrated, your body is in an optimal state to produce all of the necessary hormones that it needs to regulate hunger, appetite and metabolism. In addition, water has zero calories and it has thermogenic properties, so the act of consuming water helps burn calories. I personally lost ~10 lbs in a span of 3 months simply by increasing my water intake and not consuming any other form of liquids. How Does Water Improve Energy Levels? Almost every cell in your body contains an organelle called the mitochondria. The mitochondria is responsible for producing the currency of energy for your body, known as Adenosine Triphosphate, or ATP. Water is necessary to facilitate the production and the consumption of this energy molecule through a process known as ATP hydrolysis. In addition, water prevents dehydration, which naturally leads to weakness and fatigue as your body has to work harder to perfuse your body and brain with oxygen. How Does Water Help Regulate Blood Pressure? Staying adequately hydrated can help lower your blood pressure because it keeps a healthy amount of blood flow to the kidneys. In chronic states of dehydration, your kidneys will sense a decrease in perfusion, and thus secrete a hormone called Renin as a compensatory mechanism to maintain their blood flow. Renin triggers a cascade of hormones that ultimately leads to vasoconstriction and higher blood pressure to increase perfusion to vital organs. How Does Water Help Regulate Your Bowels? As food travels down your gastrointestinal tract, nutrients are absorbed in the small bowel, and water is absorbed in the colon. If you are dehydrated, your colon will absorb more water than usual. The more water your colon absorbs, the more solid your stool will be. This is one of the most common causes of constipation. Water has also been shown to improve symptoms of a headache, prevent muscle cramps and strains, decrease the risk of kidney stone formation, and improve the symptoms of a hangover. Why do you think we give almost every single patient in the hospital intravenous hydration? How Much Water Should You Drink Each Day? What Is Proper Hydration? A good rule of thumb is to drink half of your body weight in ounces of water per day. So if you weigh 200 lbs, you should consume 100 ounces of water each day. Keep in mind that this is just a guideline and your requirements may vary. 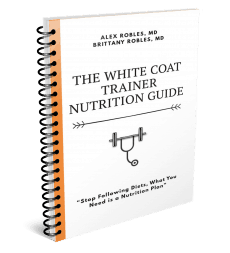 Check out this piece for another simple way to determine your water intake. If we look towards, the medical literature, there is no absolute consensus on how much water you should drink per day. Most people will often hear the recommendation of 8 glasses per day, but this number is completely arbitrary and it doesn’t take into account someone’s height, weight, age, muscle mass, and activity level. But do you wanna hear a shocking statistic? According to a 2013 survey done by the CDC, 7% of Americans drink zero cups of water per day. Are you in this group? If you exercise regularly, then it is even more important to hydrate regularly. You can still use these guidelines: Drink half your body weight in ounces per day and add or subtract depending on these four simple rules. If you experience any symptoms of dehydration while consuming this much water, then you need to increase your water intake. If you experience polyuria, or excessive urination, and/or your urine looks like pure water, then you will need to decrease your water intake. The most common signs and symptoms of dehydration are fatigue, weakness, cramps, headache, thirst and dark colored urine. Your urine becomes dark because your body secretes a substance called Anti Diuretic Hormone (ADH) during times of dehydration, which signals the kidneys to hold on to as much water as possible. As a result, your urine becomes more concentrated. You may also notice that if you don’t eat for a while, you will develop what is often referred to as the ‘hunger headache.’ This is also partly due to dehydration. All of the solid foods we consume usually have water in them, which helps restore our fluid balance even in the absence of drinking water. Always be on the lookout for signs and symptoms of dehydration. Try drinking 16 oz of water anytime you feel weak, fatigued or have a headache and see if you notice any improvements in the way you feel. This is particularly true if you are working a 16- 24 hour shift as most resident physicians have to do on a constant basis. Busy professionals make the mistake of relying on caffeine to keep them awake and energized but don’t realize that it has diuretic properties, and they must drink water in addition to the coffee they are consuming. Never wait until you are thirsty to start drinking water. Stay ahead of the game. In order to rehydrate yourself quickly, it is important to consume the most hydrating foods, and the most hydrating drinks. There are several foods that can improve your hydration, even more so than plain water. These include fruits and vegetables that naturally have a high water content, and are loaded with minerals to help replenish your fluids. 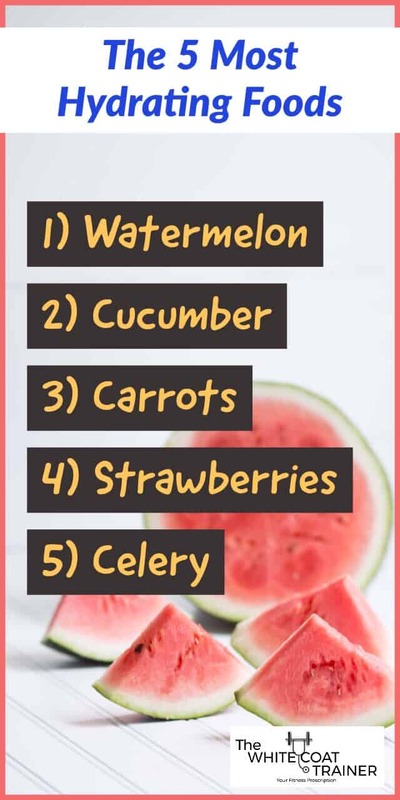 Below are the top 5 most hydrating foods and the 3 most hydrating drinks (other than plain water). This fruit is called a water melon for a reason. It is composed of >90% water. This summer favorite can hydrate just about anyone in any situation. It also contains many key micronutrients including Magnesium, Vitamin C and Vitamin B6. Cucumbers are amazingly refreshing. They are mainly composed of water and contain high levels of Vitamin C. Many people have even added slices of fresh cucumber into ice water to add flavor and style. If you ever watched Bugs Bunny growing up, he used to always make carrots look so tasty. Carrots also contain a high water content and are a great source of beta carotene, a nutrient necessary for eye health. Who doesn’t like berries? Out of all the different kinds of berries, strawberries are the most hydrating given that they are composed of ~90% water. They also make a great snack because they are low in sugar and high in folate and Vitamin C.
I’m the first to admit that celery is difficult to eat due to its strong flavor, however, its hydrating value cannot be ignored. Simple ways to make this vegetable more palatable is to use it as a snack with almond butter or simply throw it into a vegetable smoothie. Now let’s go over the most hydrating drinks. If you don’t like the taste of water, there are a few drinks you can have to hydrate yourself even better than plain water can. The three best hydration drinks are coconut water, lemon infused water with a dash of sea salt, and a vegetable smoothie that includes the most hydrating fruits and veggies. Coconut water is one of the best drinks on this planet. Mother nature created this liquid to help replenish ourselves given its high concentration of key electrolytes including sodium, potassium and magnesium. Do yourself a favor and buy 100% coconut water, not some imitation with coconut flavoring. So many people swear by lemon water. 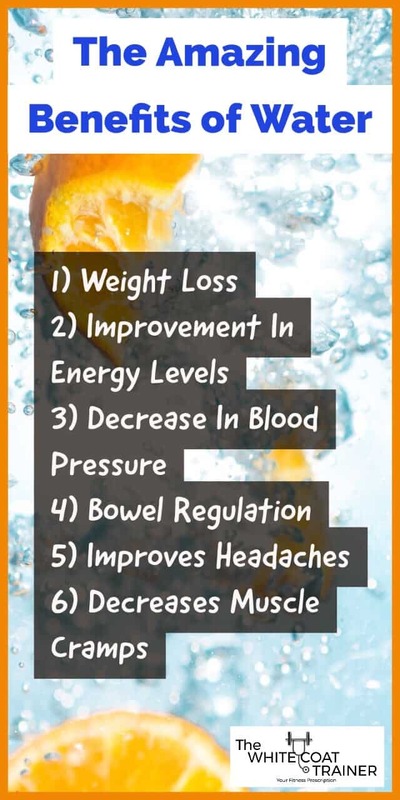 Anecdotally, people claim that consuming a tall glass of lemon water in the morning helps curb their appetite and helps them lose a lot of weight. The sea salt also adds a natural source of sodium to the mix, which makes the body naturally hold on to more water. Water always follows sodium. Just a pinch is enough. Why not throw the most refreshing vegetables together into a smoothie you can drink throughout the day? These are especially great in the summertime. Just make sure to throw in some hydrating fruits as well just to make it more palatable. Ok, so now you are convinced, you want to start drinking more water. 1) The easiest way to drink more water on a daily basis is to carry a high quality glass or stainless steel water bottle with you at all times. Fill it up the night before and take it with you to work first thing in the morning. Just the act of having a full water bottle in plain sight increases the chances of you picking it up and drinking from it constantly. This is the same phenomenon you experience when a snack is left open on top of your counter. Every time you pass it, you are likely to consume some of it because it is readily available and convenient. Aim to refill that bottle 1-2 times throughout the day and always have it in plain sight. 2) The second tip you can do to drink more water is to prepare a veggie smoothie every single day using the most hydrating vegetables we mentioned above. On most days of the week, our breakfast consists of our power smoothies, which usually contain a mix of at least 3 vegetables, 2 fruits and a few other nutrient dense ingredients like pumpkin seeds. We meal prep these 1-2 weeks in advance, store them in the freezer and have them ready to go in the morning. In addition, we power up the smoothie by using coconut water which has a whopping 450 mg of Potassium per serving. Be sure to check out our Green Smoothies to learn more. This smoothie is so hydrating and filling, that we often don’t have to eat for about 3-4 hours after consuming it. 3) The third tip you can use to drink more water is to take an “inner bath” first thing in the morning. This means drinking ~18 ounces of water (with a lemon if you’d like) as soon as you wake up. You can easily get dehydrated when you sleep, as we often sweat in the middle of the night and have gone several hours without any fluid intake. This is why your urine tends to be the darkest upon waking up. This inner bath will help get your metabolism going, help improve your circulation, regulate your bowels and get you alert! The absolute cleanest form of water is the kind that is found in natural springs and in wells. This water has passed through several layers of the Earth and as a result has accumulated many natural minerals along the way. Unfortunately, many of us in Metropolitan areas do not have access to a natural well or spring. The best alternatives that we have are bottled spring water (preferably glass > plastic) or purified water that underwent reverse osmosis. While tap water is considered safe to drink, studies have found trace amounts of microorganisms, pharmaceutical medications and heavy metals. The EPA does its best to keep these contaminants below the “Maximum Contaminant Level Goal (MCLG)” – or the level of a contaminant in drinking water below which there is no known or expected risk to health. While we do not know if there is any risk associated with the consumption of these contaminants, it is important to be informed that this is in your drinking water. Is It Safe To Drink Plastic Bottled Water? There is concern that the use of plastic water bottles increases our chances of consuming chemicals that can disrupt our hormones. When exposed to heat, plastic particles can leach off and mix in with the water. The most studied particle is BPA, which has been linked to an increase in estrogen levels and a decrease in testosterone levels. This concern is most worrisome if the plastic has been sitting on the shelf for a long period of time, or if exposed to the sun. Have you every drunk water from a bottle that had been sitting in the heat and after a little while it tastes funny? It should go without saying that you should never re-use plastic water bottles, and never ever heat food in plastic containers. Interestingly enough, we are probably also consuming small plastic particles known as pthalates whenever we consume fish and seafood as illustrated by this video. Proponents of alkaline water state that you must counterbalance the acidity in your body by drinking water that is alkaline. The thought process is that the high pH can help fight against things like oxidative stress, cancer growth, acid reflux and more. While in theory this sounds great, we don’t have any concrete evidence that alkaline water helps with anything. In addition, the alkaline water that we find on our store shelves has to undergo several levels of processing in order to raise the pH so high. If you have consumed alkaline water before and have noticed improvements in the way you feel, then keep drinking it. Just be sure to drink enough regular water too. Just as too much acid can be corrosive, so could too much alkali. With all of that said, moderation is always key. There are individuals who take this information and run with it, assuming that more is always better. If you drink too much water, it is possible to dilute your blood and cause a life threatening decrease in sodium concentration known as hyponatremia. 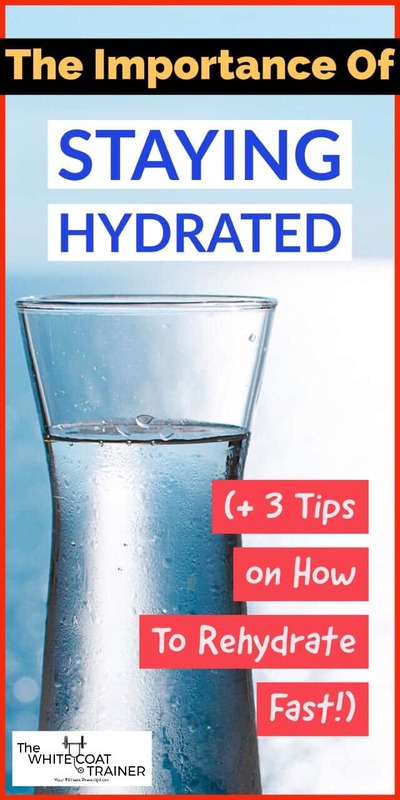 This condition is rare, and would require you to drink a lot of water in a short amount of time, but it is important to note that you can go too far with this. Stick to the recommendations above and you should be fine. If your urine is clear and looks like water, then you need to slow down your intake. So as you can see, dehydration is a serious issue that can affect numerous organs in your body. Water is absolutely essential for life and for optimal functioning of your body. Stop drinking Coke Zero and Vitamin Water and consume foods that will actually hydrate you and not make you thirstier. Drinking water is one habit you can improve today, right now! Here are 6 More Bad Eating Habits You Can Change Immediately. So now we turn it over to you. What are your thoughts on plastic bottles? Where do you get your water? Tap? Filtered? Bottle? Do you have any other hydrating foods or drinks to add to our list? “When astronomers are looking for signs of life in our galaxy, they are looking for "Earth-like" planets; ones that have some form of water present. Reminds me of the movie Idiocracy, when they replace all water with an energy drink and don’t understand why all the crops die. Haha, I never saw that movie but it sounds like the point I was trying to make! Tap water. Tap water. T.A.P.The plastics you are concerned about come in part from all the gajillions of empty non-reusable plastic water bottles. The trace contaminants you mention are present at much higher levels (orders of magnitude ) in many of the foods we eat – the contribution from tap water would be negated by eating a gram or two less of food per day. “Optimizing” our water source is rearranging deck chairs on the Titanic compared with sourcing food properly every single day and never eating an extra smidge or having a “cheat day”. Which most of us WILL have. So just drink tap water. I hear you. You make a great point. The amount of contaminants found in our food probably exceeds that which we find in water. I too drink Tap water. I also drink bottled water. I simply want to inform people that water can be organized in levels of purity. With that said, these impurities don’t seem have any significant detrimental concerns as far as we understand it. Your statement of "Spring or Well Water > Purified Water > Glass Bottled Water > Plastic Bottled Water > Tap Water" is pure malarky in first world countries. If you are feeling paranoid, go ahead and get yourself a personal filter. If you wish to pay extra for your water because that makes it more likely you will drink it (i.e. the guilt factor), go ahead and buy the fancy water. Please recycle your plastic/glass. Tap water beats everything for 2 reasons: it is secure, it is free. If you don’t like the taste, make it cold and/or add your lemon or any of the other various flavored squirts that seem to be popping up like clover. If you don’t live in a first world country (or you do and you don’t have secure well water), then by all means get your bottled water. Otherwise, you are literally putting a whole lotta money through the process of filtration and micturition that you could be spending on something else. I hear you Wine Guy. As I mentioned there doesn’t seem to be any detrimental effects of consuming trace amounts of contaminants that we are aware of. I still think it’s important for people to make informed decisions when it comes to food, nutrition and hydration. I personally drink tap and bottled water all the time, with the knowledge that it isn’t the absolute purest water possible. Great facts about water here. I definitely try to stick to drinking a lot of fluids during the day for health reasons. 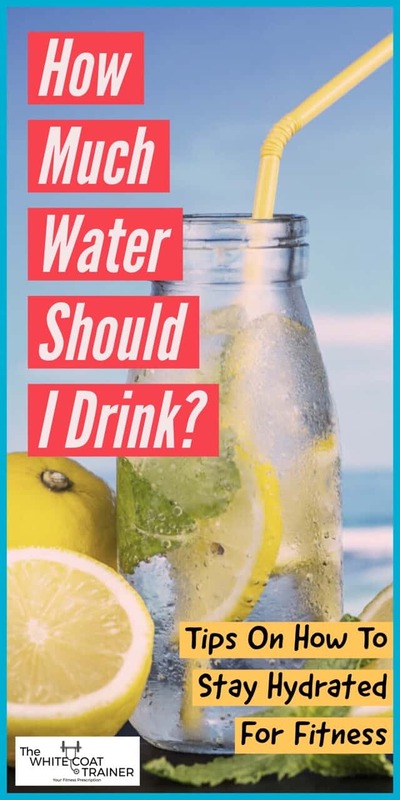 Yea, no one really knows where the 8 glasses of water per day came from.But as long as you aren’t thirsty and your urine is a pale yellow, you should be good to go! I need to get SO much better at drinking water. I tend to do coffee, which I know dehydrates. Ug! Thanks for the reminder! Yea, just make sure that you drink at least a 2-1 ratio of water to coffee. Thanks for reading. Hmm… this is very interesting! But now I am a bit worried.. I’ve never had trouble with staying hydrated,I drink a lot… but it’s true there are moments when I did notice my urine is pretty much pure water… so.. gonna have to pay closer attention to that, I guess! Its much better than the alternative, which is to have dark concentrated urine.But great work on staying that well hydrated!